Davis Entertainment has acquired the rights to Boom! 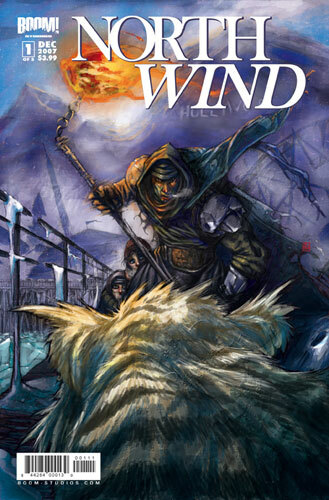 Studios North Wind mini-series, and have started on the road to major motion picture by hiring scribe David DiGilio. The story takes place in a futuristic Los Angeles, years after global warming has created a new ice age. Most survivors live under the ice and are ruled by a dictator who exiles some citizens to the harsh environment outdoors. His cruel actions cause one of the exiles to lead a revolution. Only the first three issues of the five issue mini-series have been released, so there is still time for you to get a peek at the next movie deal from Boom! Anyway, does anoone knows when is Boom! going to release theGodfather Chronicles comics?